Be hungry for more of The Venetian Macau's lifestyle scene by indulging in a Macau Venetian Bambu Buffet! Gliding down the canals and past renaissance architecture as a gondolier bellows out traditional Italian tunes – no Venice experience would be complete without a gondola ride! 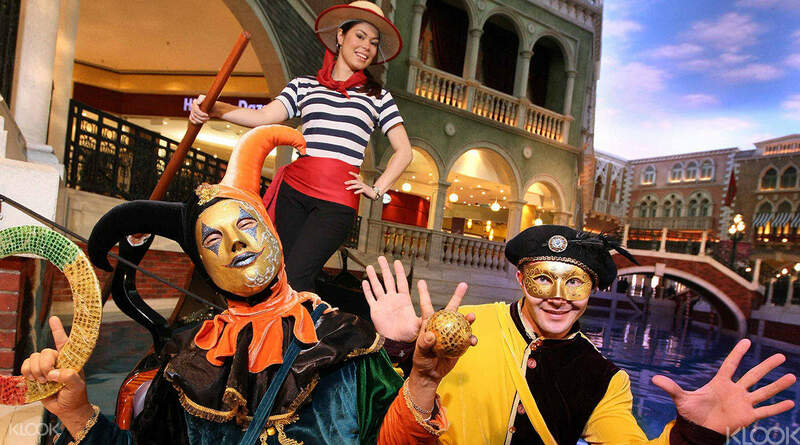 Ok, so it may not be Italy, but you can try out this very Italian experience within the Venetian Hotel right here in Macau! The network of San Luca, Marco Polo and Grand Canals circle within the Venetian Hotel, decorated on either side with impressive facades, quaint bridges and even a cloudy blue sky above you. 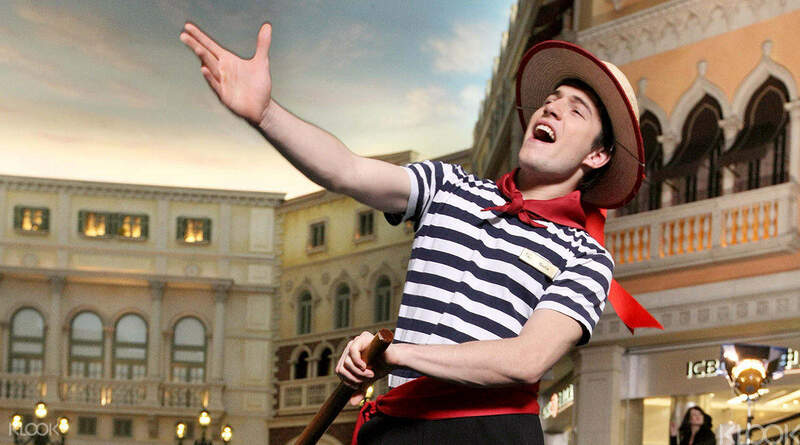 Your gondolier boat driver, complete with stripy shirt and straw hat, will sing classic melodies as he punts along the canal. 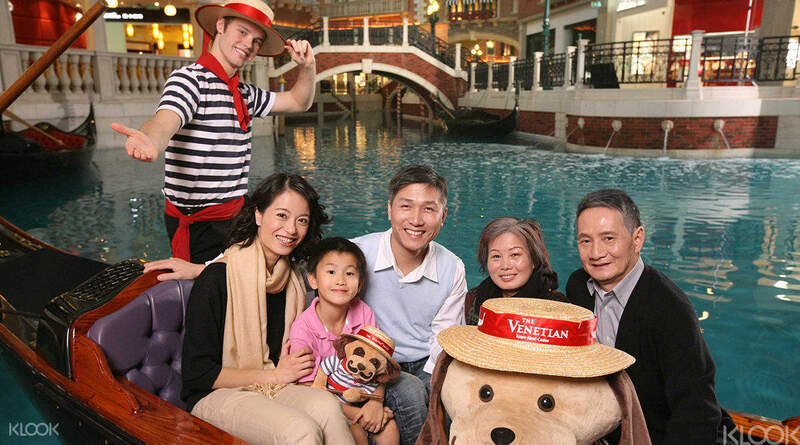 Get caught up in the romance of your serenaded ride on an authentic gondola boat and take home a souvenir photograph to remember the occasion! Take your whole family with you! Amazing Experience. Convert your tickets from Boutique De Gandola just next to pick up place of Gandola ta Grand canal Street. The staff of Gandola are very good and gives you a real experience of Venice. The Venetian Macao is amazing with it's Goliath architecture and Grand Canal with mini Bridges and clean water( not smell of Original Venice) is really beautiful. Amazing Experience. Convert your tickets from Boutique De Gandola just next to pick up place of Gandola ta Grand canal Street. The staff of Gandola are very good and gives you a real experience of Venice. The Venetian Macao is amazing with it's Goliath architecture and Grand Canal with mini Bridges and clean water( not smell of Original Venice) is really beautiful. Best experience here in Venetian Hotel. Its a must to ride on their Gondola and hear the golden voice of their boatman/woman. Its more advantage to book ahead here in Klook. Long queues depends on the day you will visit. I suggest to go on weekdays. Have a happy trip here in Macau! Enjoy! Best experience here in Venetian Hotel. 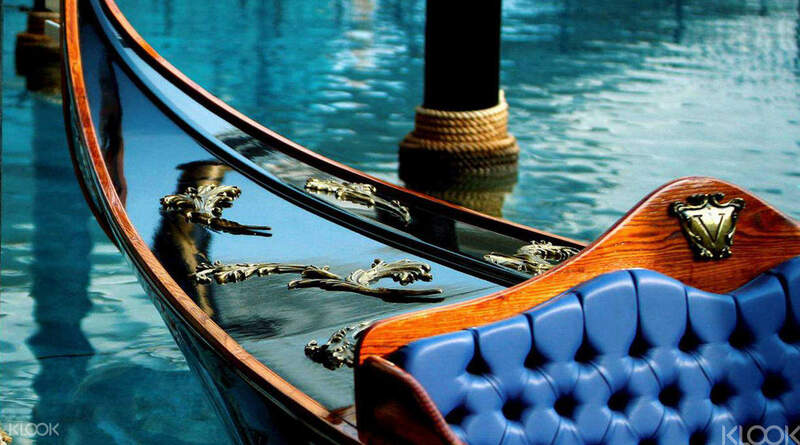 Its a must to ride on their Gondola and hear the golden voice of their boatman/woman. Its more advantage to book ahead here in Klook. Long queues depends on the day you will visit. I suggest to go on weekdays. Have a happy trip here in Macau! Enjoy! The gondola ride was worth the long queue. They were very accommodating and even their singing was very good. The entire ride was very relaxing and very romantic. They even sung Filipino songs which was very unexpected. The gondola ride was worth the long queue. They were very accommodating and even their singing was very good. The entire ride was very relaxing and very romantic. They even sung Filipino songs which was very unexpected. Loved it. The hotel is too big . It took almost 1 hour to locate the place exactly. The boat rider was brilliant. He sang beautiful songs. Got chance to make new local friends. 5 people can sit in one ride. Loved it. Loved it. The hotel is too big . It took almost 1 hour to locate the place exactly. The boat rider was brilliant. He sang beautiful songs. Got chance to make new local friends. 5 people can sit in one ride. Loved it. It’s very romantic. Reminiscing my visit to Venetian Las Vegas Nevada USA when I was a kid. Staff are very accommodating it feels like I’m in Italia! I love the song it opens my heart to love someone. It’s very romantic. Reminiscing my visit to Venetian Las Vegas Nevada USA when I was a kid. Staff are very accommodating it feels like I’m in Italia! I love the song it opens my heart to love someone. Done this at Vegas. now at Macau. Got an Intalian guy who took us on the Gondola right. Wonderful experience as ever. A music convert was going on next to the Gondola ride. was slight disturbing but booking via klook gave us a discount and a quick redemption.. Done this at Vegas. now at Macau. Got an Intalian guy who took us on the Gondola right. Wonderful experience as ever. A music convert was going on next to the Gondola ride. was slight disturbing but booking via klook gave us a discount and a quick redemption..